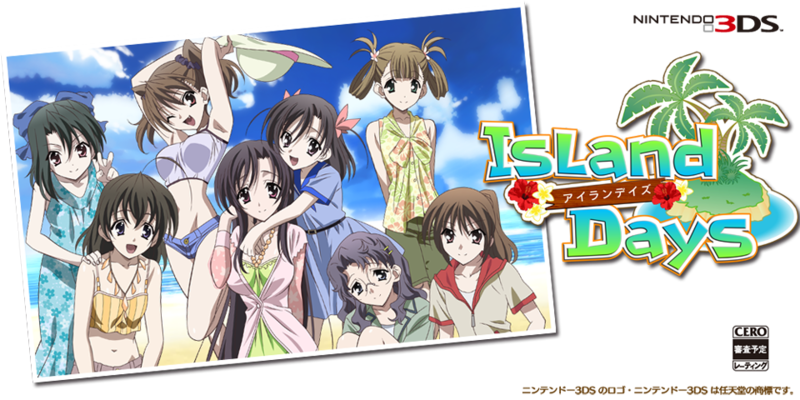 Part visual novel, part tower defense game Island Days on 3DS (a spin off of the School Days visual novel) has been delayed by Klon to add more content to the game. I think that's pretty awesome - better than getting it as DLC! Did you play School Days? I didn't. That's kind of where I draw the line on my J-RPGs/Visual Novels. However I did watch the School Days anime in one day with George. At first I hated it - I thought it was way too dramatic and cliche. Despite this, we watched the whole series while consistently trying to stop watching. I don't know at what episode it happened, but the whole show became like a car crash. It was dramatic, over the top and yet I was suddenly extremely emotionally involved. A lot of near-yelling at the TV during episodes was had. It was pretty fun. Anyway, you can pre-order Island Days for 3DS (Japanese game) at Play-Asia.